Drug Development We cover the entire drug development process from design, synthesis to formulation and quality control. The CIRM has developed a great expertise in the design, synthesis, purification and structure elucidation of synthetic and natural pharmaceutical molecules such as new drug substances or new pharmacological tools. We are accredited by the FAMHP for the analysis of plant materials, herbal medicines and drug substances (GMP label). We are part of the European network of Official Medicines Control Laboratories (OMCL), led by the European Department of the Quality of medicines (EDQM). Our team at CRC constantly develops faster, cheaper and safer techniques to prepare PET tracers. As a result, more convenient methods to introduce 18F on organic compounds were developed and patented. Thanks to these technical developments, we are now able to produce multiple high-quality 18F based tracers suitable for clinical studies (GMP facilities). Some recent molecular imaging technologies require more elaborated radiolabeled compounds (e.g. 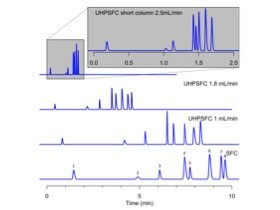 peptides, proteins, oligonucleotides, lipids…) facing significant stability issues and side reactions. To tackle this increasing problem, we have developed a library of small 18F labelled compounds (prosthetic groups), which can be easily conjugated to biomolecules specific to the targeted biological process. We have Marketing Authorization Application (#BE241132) for 18F-FDG (GLUCOTRACE). Our manufacturing processes are performed in compliance with the European quality standards applied in the pharmaceutical industry, including the European Pharmacopoeia (PhEUR) and the EUDRALEX rules and regulations (GMP and GLP). The CIRM has expertise in small and large molecule formulation development. It is the first academic department in Europe that has obtained the GMP label. Furthermore, we obtained Federal Agency for Medicines and Health Products agreement since 1997. 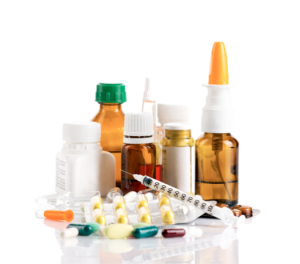 Our in-depth knowledge and in-house equipment allow us to develop and design a wide variety of dosage forms and drug delivery systems. Stability testing is performed after storage in defined conditions according to standard and accelerated ICH conditions. All storage rooms are fully-controlled with 24/7 monitoring and alert systems allowing to test different range of storage conditions. 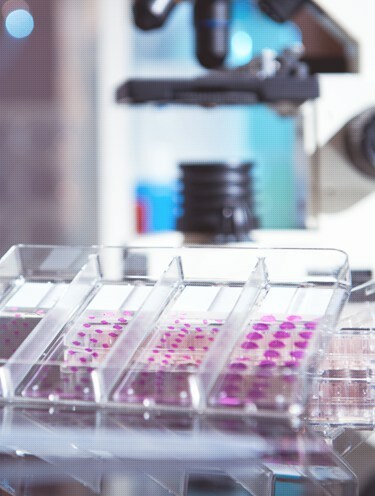 We have extensive knowledge and expertise in developing and validating methods for raw materials, API’s, finished products and biological samples. Once validated, method transfer will involve comparative testing, co-validation between two sites (Lab-to-Lab), complete or partial revalidation and comprehensive documentation.